Hey guys! 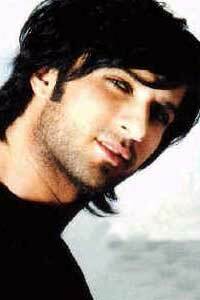 This is a fanclub for the Turkish heart-throb superstar TARKAN...if ur a fan, like me, then holla! For those of you who don't know..Tarkan sung the super-hits "Simarik" (aka the 'kiss kiss' song), "Sikidim", "Kuzu Kuzu", and many more..he also released an all-English album a couple of months ago..! Born in Alzey, Germany on 10-17-1972, Tarkan is the fifth child of six siblings. Tarkan was reared by his loving mother who noticed his talents and encouraged his artistic ability. Coming from humble beginnings, music was a form of release from his realities. Seeing how music moved their child's very being, was reason enough for Tarkan's family to encourage his journey into the world of music. He began on his quest by taking lessons in Turkey in order to study the craft of traditional Turkish song. Studying at the Turkish classical musical institution, Tarkan was surrounded by some of Turkey's most respectable songwriters & musicians. It was at this very young and impressionable age that Tarkan absorbed the essence of music. After graduating from high school, Tarkan had a string of jobs that led him nowhere in the music arena. Experiencing this disappointment, Tarkan was planning on moving to Germany and leaving his dreams of pursuing music and stardom behind. However, prior to his departure, destiny had different plans in store for him as Tarkan met producer Mehmet Sogutoglu. Mehmet eventually signed Tarkan to his record label, Istanbul Plak. This resulted in the release of Tarkan's debut album Yine Sensiz in 1993 in Turkey. The first single "Kil Oldum Abi" quickly struck a chord with the public, garnering airplay at nightclubs & eventually hitting Turkish radio's Top 20 charts. The songs "Cok Ararsin Beni" and "Vazgecemem" perpetuated the album's success. These songs' airplay was boosted by music videos in which Tarkan, though innovative and unique, maintained a loyalty to his roots & culture, as he was seen donning a necklace with the crescent & star, a Turkish symbol of national pride. Tarkan's look was one that was never before seen, with his boyish charm and searing eyes, he managed to win the hearts of the youth. He ultimately sold over 700,000 units, taking his place among Istanbul's prominent artists. Tarkan's sophomore album entitled Aacayipsin was released in 1995. The title track, a collaboration with Sezen Aksu (Turkey's acclaimed composer/producer/lyricist/performer) became the singer's first number one single. In 1995, Tarkan held 74 live concerts throughout Turkey & Europe. A New York Palladium concert was broadcast live in Turkey nationwide, to rave reviews. The album's sales jumped to over 2.5 million units, more albums sold than any other artist that year, cementing Tarkan as a force to be reckoned with in the world of Turkish music. Following his successes throughout Turkey, Tarkan chose to leave Turkey to collect his thoughts & learn English, relocating to NY. Prior to his departure, as fate would have it, Tarkan met Atlantic Records founder & executive Ahmet Ertegun, who decided to take the talented musician under his wing & consequently became a guiding force in Tarkan's life, silently grooming him for the world's stage. Tarkan's third album, Olurum Sana, was released in July 1997. The single "Simarik", known as "Kiss Kiss" internationally, was written by Turkey's legendary Sezen Aksu. The powerhouse song exploded onto the international market, topping the Billboard Charts Hot 100 lists worldwide garnering highest marks, resulting in close to 4 million units sold. "Simarik" was translated into many different languages in order to accommodate the international demand. Furthermore, the music video's appeal resulted in steady rotation on international music markets including MTV & MCM throughout Europe, as well as profiles on international news outlets including CNN. Tarkan progressed by embarking on a sold out stadium tour nationwide. Following his appearances in Turkey, Tarkan made appearances in over 17 cities in Europe, with additional stops in South America. His entrancing vocals, dynamic dance, and spectacularly staged shows appealed to the worldwide demographic & Tarkan was received everywhere with open ears, arms, & hearts. In 1998, PolyGram France licensed the album, re-releasing it internationally. As a result, the album was certified platinum in Mexico, & hit gold in France, Holland, Germany, Belgium, Luxembourg, Sweden, & Columbia. Controversy always managed to follow Tarkan throughout his career. Whether his interests, political views, or personal relationships were in question, he has never ceased to be an integral topic of public intrigue. Tarkan's quest for self-realization was played out publicly due to his ever-present persona. However, through it all, Tarkan has managed to weather the storm by staying true to his heart, to his music, & to his fans. Karma was released in August 2001 to a hungry audience, which saw a side of Tarkan never before publicly exposed. Karma was a touching, introspective, and deeply personal work, which shined a light on all of the experiences, Tarkan had endured throughout the recent years of pandemonium. Fans witnessed an artist, who in the wake of the new album was a more spiritually centered and private man. "Kuzu Kuzu", the first single off the album, was released in May 2001 & held the # 1 position for three months. Karma also was also a ravishing success in Russia and a surprising change in the landscape of the Russian music market. In spite of economic & political crisis at the time in Turkey, the album "Karma" sold over 2.5 million units. Dudu, the fifth album, was released in Summer 2003 and was the latest in the series of record-breaking recordings from Tarkan. The album, a gift from Tarkan to his fans, steadily climbed the charts & matched Tarkan's unchallenged record sales. The album release followed with yet another successful tour. Stops included concerts throughout Turkey and international shows in Germany, Moscow, Baku, and Alma Ata. In terms of sales & popularity, Tarkan is the biggest star of the last decade in Turkey, spilling over his success throughout Europe, South America and Australia. He has charted Top 40 singles, every single year from 1992 to current. His songs, which include "Simarik", "Sikidim", "Hup", "Kuzu Kuzu", & "Dudu" have become contemporary pop standards. His image has garnered interest & endorsements of international brands such as the omnipresent "Pepsi", by which Tarkan & his tour were sponsored. Tarkan has also shot two commercials as the face of "Pepsi". Tarkan's music has always flowed to the beat of pop culture with his heart drumming to its ever-changing pulse. As an artist driven clearly by passion and always one step ahead of the game, Tarkan feels what's next, he sings what's next, and he is what's next. The new album entitled Come Closer is Tarkan's long awaited English debut, which will be released shortly by Universal Music. kk...i guess that's enough for now, if u guys are INTERESTED, just reply, and i'll post more stuff later!! Here are some FABULOUS siggy's for the Tarkan Fan-Club made by the one and only..Celina jaan!! There are three, feel free to admire them and use them to promote the club!! did u listen to "let me see u bounce" ....honestly if someone ask me tht who is the most handsome guy in the world... and i will say " tarkan" straight away... do u agree? lol..yay! we have two members now.. Welcome! ..So wuts ur fav tarkan song? Edit: O yea and PLZ, if u kno any other Tarkan-lovers on dis forum, be sure to tell them to join, aiite? wuhoo!.. lol already replied to u in other forum..
..What are your favourite Tarkan songs?..